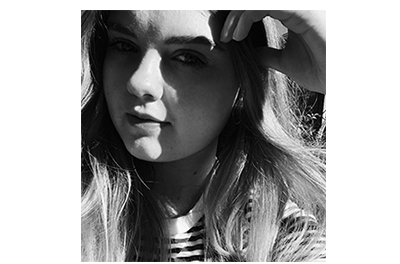 My Skin Journey | emma etc. Acne is something I've had to put up with since the age of sixteen. It started with hormonal breakouts dotted on my chin and along my jawline and over the years it's migrated to the rest of my face - the only area spared is my forehead. Looking back, the acne I had really wasn't as bad as I thought it was but it still takes a toll on how you feel about yourself. Earlier this year my skin was the worst it's ever been, but by this point I was just used to having spotty skin and trying more and more products to get rid of it to no avail. It's not like acne is the worst thing that could happen to me but it's an annoyance I've carried through to my twenties and it has likely made me even more insecure about myself. I think you'll agree when I say it can be extremely difficult to track the cause of breakouts - is it my diet, my hormones, my genetics, the foundation I apply daily that makes it worse? 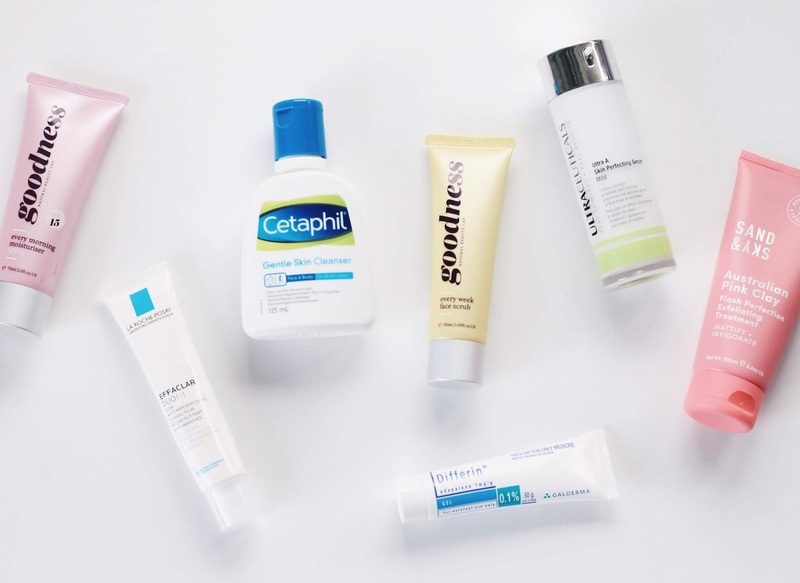 What skincare products are actually helping and what is just making it worse? With so many beauty products available these days, it's so easy to get overwhelmed and give up all together. It's also hard when there are so many 'miracle' products targeted to acne skin that in the end do nothing at all. A couple of months ago I decided to visit my doctor and ask what could be done about it, and I'm seriously kicking myself for not having done it earlier. I don't know about you, but I felt really nervous asking about something so superficial as acne like I was wasting his time. But there is really no reason why someone shouldn't ask for professional help whether that is visiting a doctor or dermatologist because you never know if something might work for you. I was prescribed Doxycycline which I assume is given to everyone as a starting point - it may work for some people but others will have to try a stronger drug. Along with this, you use a gel called Differin which you apply to the affected areas at night after washing your face. I didn't have any idea what to expect, but in the first three weeks I noticed my skin texture was a lot smoother and no huge breakouts had surfaced. Even though I was really pleased during the first few weeks, I had two huge pimples (the kind that scar) show up on each cheek. This was super annoying because it felt like I was starting from the beginning again, but with patience and absolutely no picking, I waited for them to go down and heal. I had maybe one or two more breakouts after that, but overall I have noticed an improvement in my skin and I'm happy with how it's going. I'm not sure if it will continue to work or if I'll have to try something different in the future, but it's so nice to see at least a little change. While I don't think mainstream skincare products have the ability to cure my skin, I still like trying new beauty products as long as I don't go overboard. There are a handful that have aided me during this time when my skin has been extra red and dry. I am in no way a super-fan of the infamous Cetaphil cleanser, but it's what I've been using the last few months. It isn't the most powerful cleanser, but it removes surface grime and isn't too potent - which is vital for me right now as my skin is extremely sensitive. A couple of weeks ago I had a strange reaction to one of my previous favourite cleansers - my skin was stinging and went red like I'd been sunburned which signals to me that I have to go back to basics with my cleansing routine. 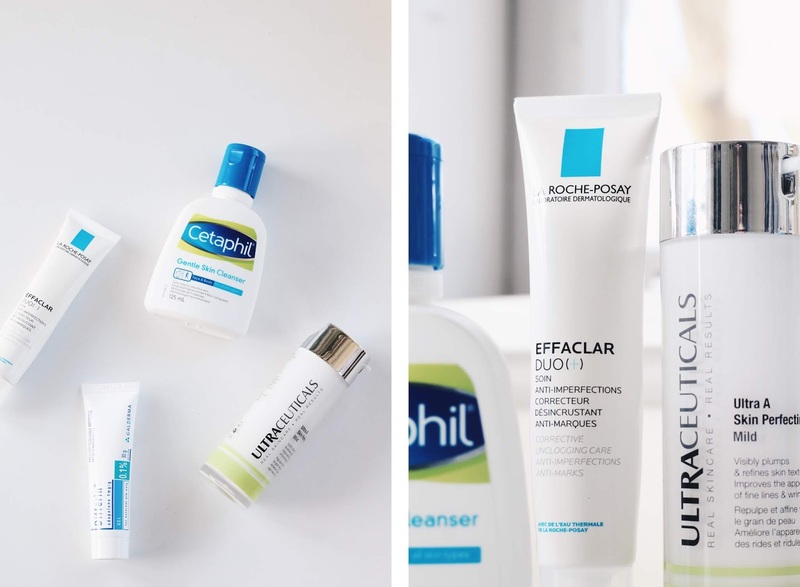 I had never tried anything from the French skincare brand but I knew I had to start with the cult-favourite Effaclar Duo. I've now been using this for at least two months and it acts as the perfect soothing product to apply before I do my makeup. Since using it I have noticed a small change in the appearance of my acne scars, but above all it's a non-offensive, fragrance-free cream that smooths textured skin. I think La Roche Posay is a pretty safe brand to go with when it comes to skincare because the formulas are designed for sensitive skin. I had no idea how expensive this was until I just looked it up, but luckily I received this at work. Although I haven't tried this one extensively, I thought I'd mention it because I've heard it is amazing for pigmentation and acne scars. While the amount of active breakouts I have are slowly decreasing, I still have a lot of scarring. I won't be using it until I'm off medication because it makes your skin more sensitive to sunlight and that is not exactly what I need right now! 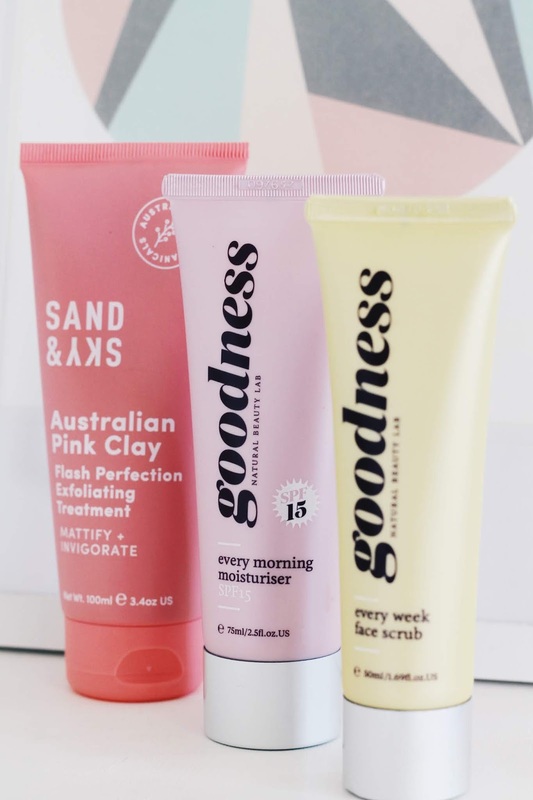 Sand & Sky is famous for their Pink Clay Mask but I have been liking the Exfoliating Treatment. As my skin has been flaky in some areas, exfoliation is extremely important and stops my foundation from looking so terrible. Described as an exfoliator and a mask in one, you apply it to skin, massage in and leave on for 5 minutes. It helps absorb excess oil yet leaves your skin radiant and smooth. The other exfoliator I've been using is this one. 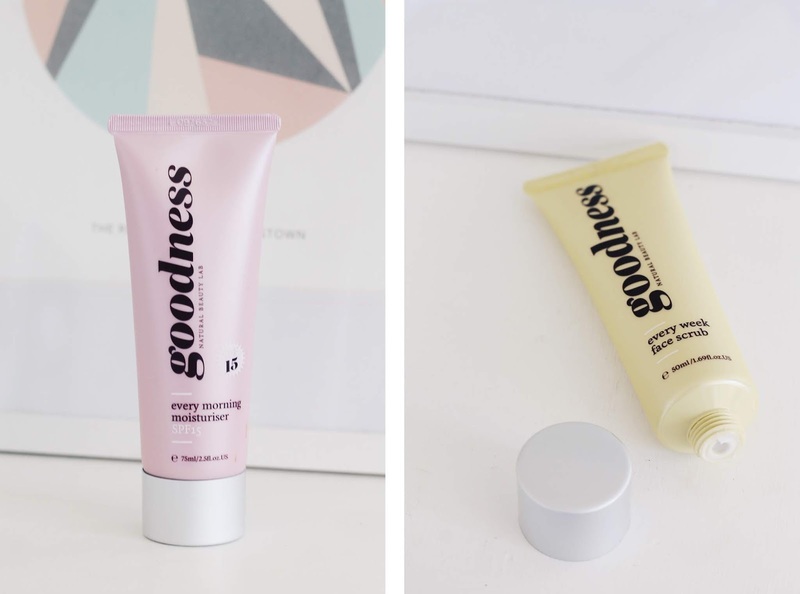 Goodness is an affordable brand made in New Zealand that harnesses the power of natural ingredients. While I'm not too fussed on everything 'natural', this is a really decent scrub that works. It's perhaps less heavy-duty than the Sand & Sky one so I use this when I want something gentle. I'm really glad I tried this day cream because it's exactly what I've been after. As I've mentioned, my skin can get drier than the Sahara desert yet is very oily by day's end. This ticks all the boxes because it's richly moisturising, sits well under makeup and provides SPF protection - I can't get caught out in the sun otherwise my skin will literally come up in blisters! My skin is in no way fixed but at least I'm headed in the right direction. Hopefully this struck a chord with someone out there and made you feel slightly less alone!